TradCatKnight: Are Polish Bishops Leaning Towards Allowing Some Remarried Divorcees Holy Communion? Are Polish Bishops Leaning Towards Allowing Some Remarried Divorcees Holy Communion? Ahead of the publication of pastoral guidelines on Amoris Laetitia, the bishops have stressed the importance of discernment and accompaniment for some divorced and remarried Catholics although it is not clear if that means they can receive Holy Communion. 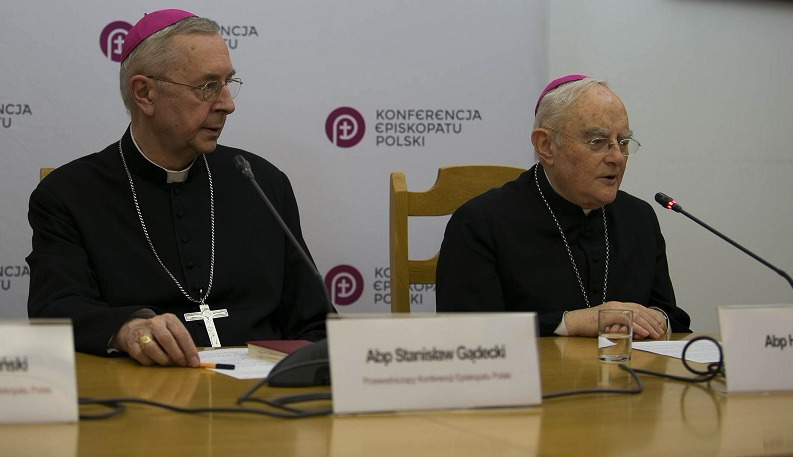 In a statement issued after a two-day plenary meeting, the bishops stressed the importance of “discernment, accompaniment and inclusion” in dealing with such cases, according to the Polish website Polonia Christiana Pch24. “Emphasizing the irreplaceable role of the sacrament of marriage, they thank spouses for their testimony of lasting love and commitment in the life of the Church,” the statement ends. Polish Church observers say the statement gives an important indication ahead of pastoral guidelines the bishops are expected to issue on Pope Francis’ apostolic exhortation, Amoris Laetitia. That document has been in the works for nearly two years. Archbishop Henryk Hoser of Warszawa-Praga said the reason for the delay is because Amoris Laetitia is a “multifaceted” and “very extensive” document and “much more capacious” than previous ones, although some insiders say it is because of divisions within the Polish hierarchy over whether or not to strictly adhere to John Paul II's teaching on Holy Communion and remarried divorcees, or to follow a more liberal interpretation of Amoris Laetitia. Pch24 asked the archbishop how the other bishops addressed the concerns about giving Holy Communion to those living in an objective state of adultery. But some are expressing clear disappointment with this week’s meeting and Archbishop Hoser's comments, as they believe they show the Polish bishops could be leaning towards allowing Holy Communion for some remarried divorcees not living in a state of sexual continence, after a period of discernment and accompaniment and in accordance with their conscience. They are also concerned about words from Bishop Jana Wątroby who reportedly said the adjudication of the invalidity of a marriage should rest with confessors. The news of this week’s plenary meeting follows two ongoing lay initiatives in Poland that urge the bishops to defend and uphold the Church’s teaching. The first is a petition, called Polonia Semper Fidelis (Poland Always Faithful), which has so far raised over 145,000 signatures and calls on the bishops to defend and uphold the traditional teaching of the Church on the indissolubility of marriage in their forthcoming document. The signatories are concerned that any weakening of Pope John Paul II’s teaching, which they say is clearly stated in Familiaris Consortio, would strongly affect laypersons living in sacramental marriages. The Polish bishops are expected to release their pastoral guidelines on Amoris Laetitia in the coming weeks.